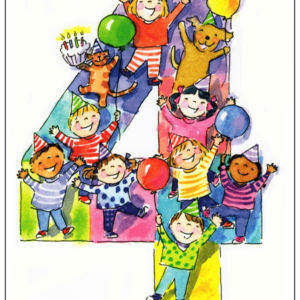 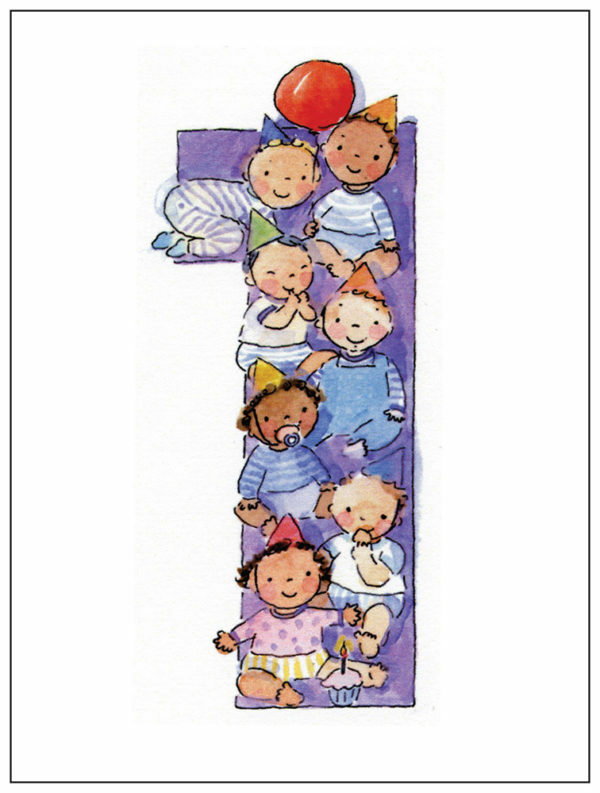 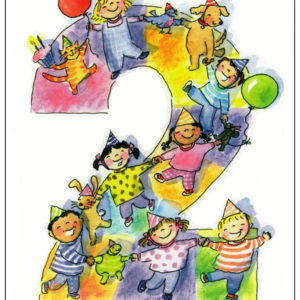 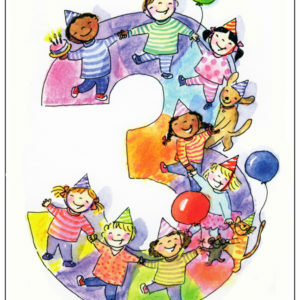 This adorable child’s First Birthday Card is illustrated by children’s illustrator Shelley Dieterichs with babies wearing birthday party hats with a balloon and a cupcake with one candle forming a number one. 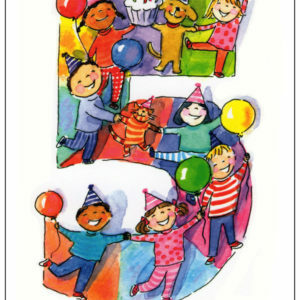 Inside the first birthday card the message reads “All your friends are here to say Happy Happy First Birthday”. 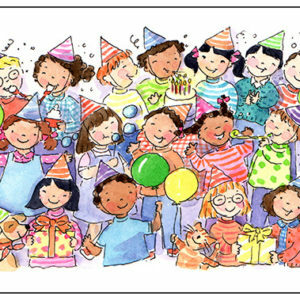 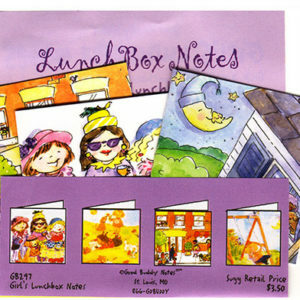 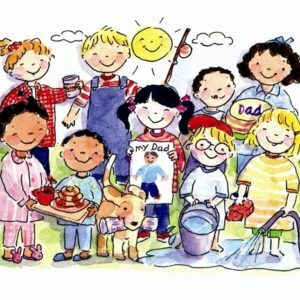 There are many more children’s birthday cards, birthday party invitations…and great birthday gift ideas in the Good Buddy Notes store!